Every month we bring a new art installation featuring a variety of media from local and regional artists. Derrick Freeman resides in Knoxville. At the age of two, this 28-year old man was diagnosed with autism. Soon after his diagnosis, he stopped talking. By the age of three, he began to draw. 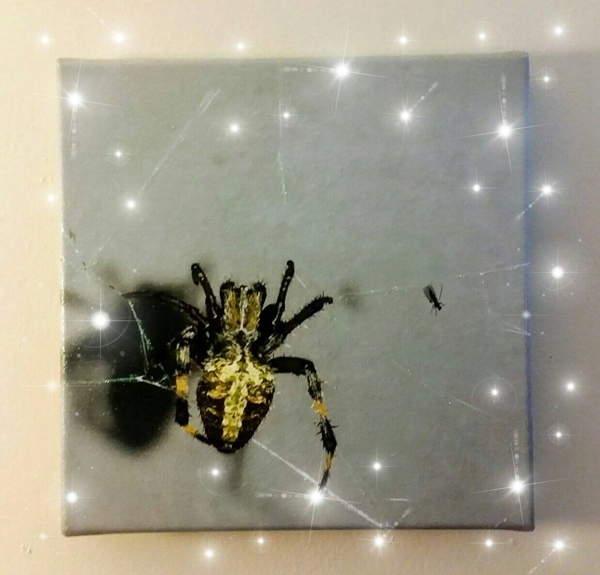 Thus, Derrick started communicating to his family through his artwork, which has been an inspiration to many families affected by disabilities. Derrick has proven that regardless of any disability, each of us has something to give back to our community. Each piece has its own story to tell, so come check it out in the taproom the entire month of April, which is Autism Awareness Month! Dino Day Liddick is a self taught artist, born and raised in central Pennsylvania. He currently resides in eastern Tennessee primarily practicing painting, metal work, and carpentry. Rather than pulling ideas from the mind to produce "art", Dino practices clearing his mind through the process of a piece resulting in an artistic product than can be shared, but ultimately an undefinable state of being. Each work is a result of deep and meaningful journey into the self, frozen in paint to share with you. H.M. Howell grew up bouncing around the United States. Born in Kodiak, Alaska, she had detours to Seattle, Miami, Harlan, and made other assorted pit stops before finally, in 1987, she began calling Knoxville home. More than 30 years (and a lifetime) later, she now shares her view of the "Ordinary Beauty" all around us. The small bits of nature, that can be extraordinary, when given just a moment to be appreciated. Dan initially began painting landscapes by following Bob Ross. He’s painted houses for many years, so he is comfortable with a brush. Learning to paint with a palette knife was challenging, however. Once he blended his first sky, he was hooked. Dan likes to use oil as his medium. He feels that acrylics just don’t blend as well, and that watercolors lack the vibrancy found with oil paint. The downside is that each landscape takes at least a month to dry. He says the effect he’s looking for is the feeling you can walk right into the landscape, and even pick out the path you want to take. Dan is an avid hiker, mushroom hunter, nature lover, and river guide on the Ocoee when he’s not in his studio in South Knox County. Subscribe to our newsletter for the latest news from Hexagon Brewing Co. This website is intended for persons of legal drinking age. 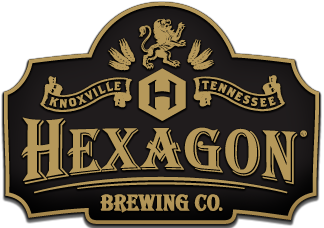 © 2019 Hexagon Brewing Co., Knoxville, TN. All rights reserved.